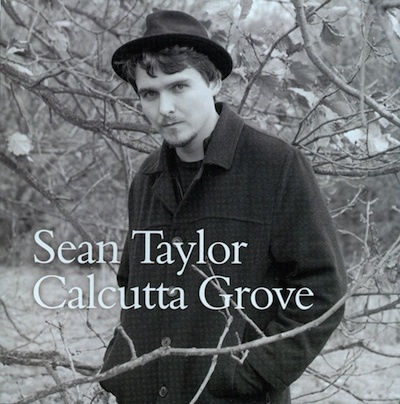 Released in March 2009, Calcutta Grove was the third completed piece of work Sean recorded. It received spectacular reviews in publications as diverse as Uncut, Classic Rock, Maverick, Blues Matters, Americana UK, Net Rhythms and many other magazines. Calcutta Grove was always the destination for this album. It began elsewhere and gravitated towards itself incrementally. The vocal and acoustic slide guitar were stripped back and then the keyboards and additional guitar added to give the piece more focus. The words were part narrative and part exposition. The Grove is where we start from, what we pass through, and how we might finally arrive. There's a blues inflection that directs this opening song, and this is something that informs everything that follows. Revelations brings a jaunty upbeat to the end of the world. The keyboards, percussion and harp provide a quickstep to the dance unto oblivion. The idea of apocalypse as a banal familiarity suits, but there's undercurrent of hope about this one that hopefully undermines the grand finale. It's also got something to do with the shallow interpretation of history and inane understanding of our peculiar present. The rictus grins of the evaluators whom we allow to rule us induce shame. Or should. Buried Alive is the most straightforward song on the album. A narrative driven by an acoustic guitar and piano about the abuse of power, and in particular, violence towards women. The piece arrived fully formed and then got scaled back, slowed, before filling out. The prolonged introduction is a way of giving more space to the words. Salvo is a reminder, a short roar against temperance. I expected more of this on the album and I was as surprised as anyone when it didn't happen. Hard Time Killing Floor Blues is a Skip James number from the 1930's that demands to be heard. The guitars are steel and slide overlaid. If there was ever a song that fits the times it's this one. Skip James deserves a place alongside Robert Johnson as a begetter of things. Lost at Sea arrived suddenly when the album was almost settled. The riff and percussion come from Saturday nights and the words are a familiar mix of love and desire tempered with whisky and wine. Sometimes, it's good to be lost. Nightmares is the one that finds me out. It started as a howl of rage and then took flight. The piano at the beginning is a partial reference to Marvin Gaye, Gemma Fuller's trumpet a reminder of Norman Whitfield, and the guitars, percussion , and developing keyboards to everything I have so far learnt. The shift in tempo and constant interplay between layers are a reflection of the language that acts as a foreword to the piece. Hold On to Your Love is a piano ballad that forms a coda to Nightmares. ...Freedom, which is an interpretation of Richie Havens' interpretation of a traditional song that he played to open 'Woodstock'. The inspiration comes from seeing Richie perform and the twist is provided by the piano and percussion that takes it somewhere else. The percussion rhythm guitar is covered with bursts of bitter lead, and the voice is scaled back in the final mix. The River Merchant's Wife owes its title to an Ezra Pound poem taken from a collection he put together in 1920 called ‘Cathay’ which was built from Ernest Fenellosa's notes regarding ‘The Chinese written character As A Medium For Poetry’. Now, it seems, also a medium for music, the piano in particular. It ends the album as it should. You'll be able to preview some tracks from the album on this page shortly. You can buy the album by clicking the Paypal button below.